Higher pay keeps workers in the labor force longer. Workers who feel discriminated against are often the first to retire. But personality also matters, says a team of researchers from the University of Southern California (USC) and the RAND Corporation who analyzed data from the Health and Retirement Study, an on-going survey of age 50-plus U.S. households. Minimum Wage Workers: Who are They? Whether or not you agree that the minimum wage should be raised, there are very real financial strains on the 5 percent of U.S. hourly workers who earn no more than $7.25 per hour, the current federal minimum wage. Nearly half are over age 25. Two-thirds are women, and one-third are men. About three-fifths of minimum-wage workers are in service occupations, such as food preparation and food service. Medical debt is a primary cause of bankruptcy. But new research finds that the Massachusetts health reform, by extending health insurance to a greater share of the state’s population, has reduced residents’ total debts and bankruptcy filings and improved their credit scores. This experience is especially relevant now that the federal Affordable Care Act (ACA), modeled after Massachusetts’ 2006 reform, has effectively made health insurance mandatory nationwide, starting this year. Health insurance is central to a household’s financial health, because one medical catastrophe can blow a hole in their savings account or throw them into bankruptcy. Most households who lack coverage are in the bottom half of the income distribution, and more than one in three uninsured individuals can’t afford his medical bills and is forced to pay them over time. Two out of three individuals paying over time owe more than $2,000, and one out of five owes more than $8,000. Researchers at the Federal Reserve Bank of Chicago and Notre Dame examined the Massachusetts reform’s financial benefits for state residents between the ages of 18 and 64, using a Federal Reserve data set based on credit reports. Between 2006 and 2012, health reform increased the state’s insured population from 90 percent to 97 percent of all residents. 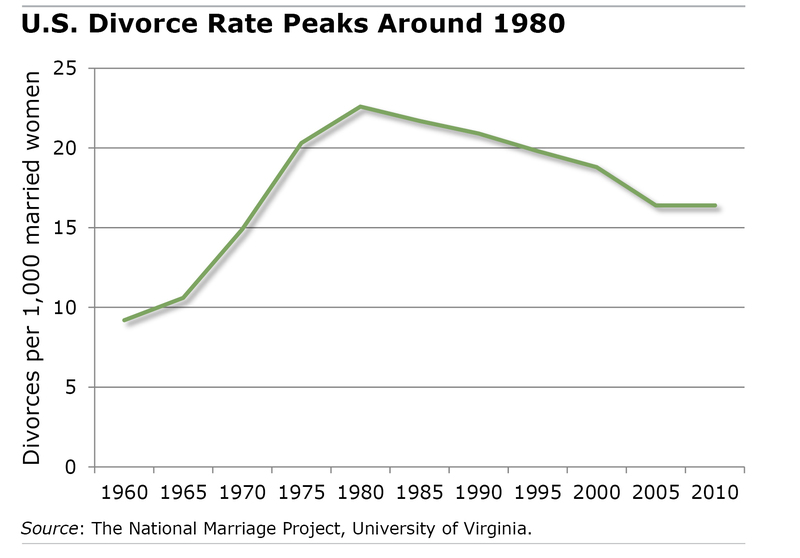 In the aftermath of the women’s movement of the 1960s and 1970s, the incidence of divorce climbed, peaking around 1980. Millions of women were suddenly on their own at a time when women were still having to prove themselves to many employers. But I remember being impressed by a college friend’s mother whose divorce wasn’t the disaster her family feared: she marched into a high-profile non-profit in Chicago and landed an impressive job. It’s been well established in academic research that women often face financial struggles after divorce. Married women are typically better off, since couples can live more cheaply and since two incomes are better than one. •	This time is different. •	I can change things. •	Wishing on a star. The Great Recession is receding into the past, but many people may still be feeling the strain in their personal finances. Post-recession, “the fact remains that Americans are fairly unsatisfied about where they are financially,” Gerri Walsh, president of the FINRA Investor Education Foundation, said in a recent video in which she discussed her organization’s 2012 National Financial Capability Study. The study, the nation’s most comprehensive survey of financial literacy and well-being, reported some areas of progress for average workers. Compared with 2009 – the depths of recession – more people felt they were better able to make ends meet in 2012. But a substantial minority of Americans were still living paycheck to paycheck. Jessica Smith, mother of four, was never much of a saver. But a credit union that dispenses prizes has changed all that. She now saves $150 every month out of her pay and bonus as a restaurant buffet manager. 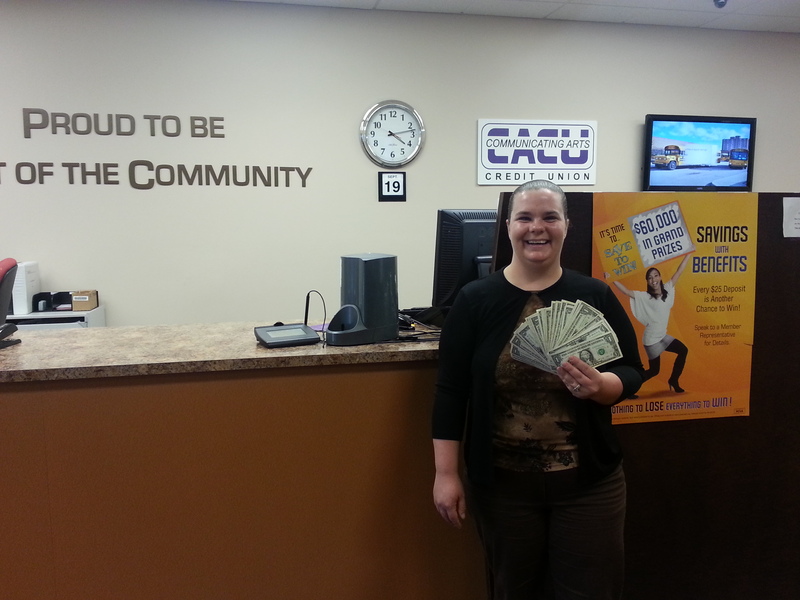 Each $25 deposited into her account gives her one more entry in a monthly drawing for cash prizes at the Communicating Arts Credit Union in Detroit. Jessica Smith and her winnings. By coincidence, she won three times last fall – a total of $100 in prizes. But in contrast to throwing money away on a lottery ticket with bad odds, she earns a little interest on her credit union account. These so-called prize-linked accounts aren’t a new concept: one of the first appeared in 1694 in the United Kingdom to help people pay off war debts. Today in this country, nearly 18,000 individuals like Jessica participate in Save to Win programs. Launched in 2009, they’re offered at more than 60 credit unions in four states.